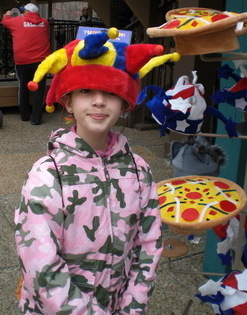 Looking for Busch Gardens Virginia discount tickets and coupons, plus the free Preschool Pass and Spring Fun Card deal? See my online ticket info below to make sure you get the lowest price possible! 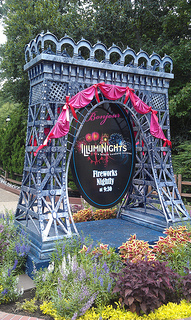 The park has admission prices comparable to most other big-name theme parks. The bad news? Single-day ticket prices for adults continue to rise $3-$5 each year. The good news? I've always found many ways to get you in on the cheap. If you're looking for a cheap Virginia Beach family vacation getaway, you have to work hard to get the best discounts and maximize your dollar..especially in these tough economic times. Luckily, I've got some fantastic deals for you-- you may even be able to get in two parks for the price of one. Two years ago, the park offered a new system which rewarded you for buying tickets in advance and for days which were less popular. By doing that, you could really shave a lot of money off this at-the-door price. But it was really complicated, varying quite a bit by day and time of year. Last year, the process was much simpler, with a straight $70 per ticket (yep, it's gone up almost $5 since then) when you bought in advance online. This year is the same-- just a single price regardless of when you visit-- unless you can find a promo code. More on that later. What about kids ages 3-5? Scroll down to learn about getting a free Preschool Pass. Daily parking is not included in ANY single-day Busch Gardens Virginia tickets. The real bummer is that I used to be able to give you a link to save you $2 on a daily parking pass. Save $2 by purchasing your parking pass online in advance of your visit. You can also purchase Preferred and Reserved/VIP parking passes starting at $25. Click here to find out how to get summer season ticket deals, promo codes, and discounts! Remember to check my Busch Gardens Virginia Hours & Operating Schedule page to find out when the park's open and look for upcoming special park events on my Busch Gardens Events page. 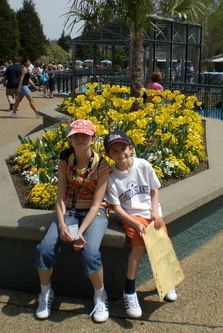 Fun Card - $89.99 for unlimited visits to the park March 23-Sept 8 (does not include parking). Includes Water Country USA when they open May 18. This price is up $5 over last year and will probably stay the same all season. BUT, I can't promise that some years it has started at one price, then jumped up as the summer season approached. LESSON LEARNED? - CHECK OFTEN FOR UPDATES TO GET THE BEST DEAL! This seems like a no-brainer deal. For just $5 over a single-day online ticket, you can visit Busch Gardens and/or Water Country USA for two days (must be used within 7 consecutive days of first use). Deal must be purchased online. Again, this is a great deal. For just $10 over the price of a single-day online ticket, you can visit both parks for THREE days (must be used within 7 consecutive days of first use.) Deal must be purchased online. Kids 5 and under can get a free Preschool Pass giving them unlimited admission to both Busch Gardens and Water Country USA through the end of the season. This saves you $75 per child (the regular price for kids 3 and up)! Note that you have to register for your Preschool Pass no later than May 31. Register online at the park's website and bring in the registration confirmation and a valid ID (a birth certificate or a passport) to the park. At $90, this deal is good for unlimited admission for up to 7 consecutive days to Busch Gardens during the regular season (March 24-Sept. 9 -- includes admission to Water Country USA after May 18). BUT, you must order your tickets online at least 14 days in advance to get this rate. If you order them at the door, the price is $100. 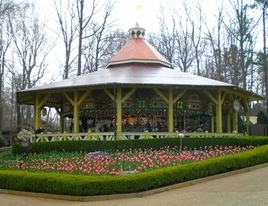 Get 7 days of visits to Busch Gardens plus Colonial Williamsburg. Good March 24 - Sept. 9 (includes parking!). 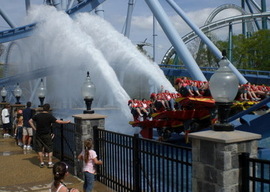 Get 7 days of visits to both Busch Gardens Virginia and Water Country USA plus Colonial Williamsburg. Good May 18 - Sept. 9 (includes parking!). NOTE: Prices are $5 higher if you buy the tickets at the gate. For the first time, I'm not seeing this deal on the Busch Gardens site, although I did find it here at the Williamsburg Attractions site. Get 7 days of visits to both Busch Gardens Virginia and Water Country USA plus Colonial Williamsburg, Yorktown Battlefield, Historic Jamestowne, Jamestown Settlement, and Yorktown Victory Center. Good May 19 - Sept. 8 (includes parking!). 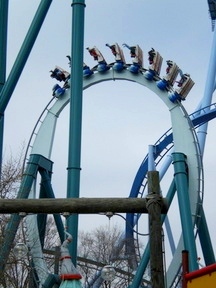 Busch Gardens Virginia may post new multi-park deals and discounts, so to keep up with the latest deals, subscribe to my VA Beach Blog for updates. ALL THE SEASON PASS DEALS ARE NEW THIS YEAR! The passes are significantly different this year, with blackout dates (see below). Once you've read the season pass facts below, go to my Season Pass Deals page to see how to save on season passes. Includes admission to both Busch Gardens and Water Country USA (except during blackout dates) during the spring/summer season plus Christmas Town. Blackout dates are mostly Saturdays during the spring/summer season and Howl-O-Scream, and Saturdays/Sundays during Christmas Town. You'll also get 50% off parking, in-park discounts, and discounted guest tickets. You'll also get FREE parking (that's worth $15 each visit), in-park discounts, and two free guest tickets. You'll also get FREE PREFERRED parking (that's worth $15 each visit), in-park discounts, and three free guest tickets. Click here for Christmas Town info and discounts, hours, and more to give you an idea of what to expect for the season. Click here for Howl-O-Scream discounts and ways to save up to $30 off tickets on this fall event, which runs mid-Sept. to the end of Oct.